Conservatives unveil fuel tax plans | What Car? The Conservative Party has unveiled a plan to soften the impact of future fuel price rises. 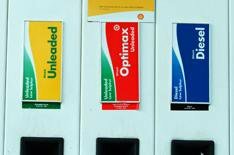 Shadow Chancellor George Osborne has proposed a Fair Fuel Stabiliser that, he says, would reduce duty when fuel prices go up, and raise it when fuel prices go down. The system would work based on the fuel price predicted in the Budget. This year, oil was forecast to cost $84 a barrel but is currently over $140 a barrel. Under the Conservative Party's scheme, fuel duty would have fallen as a result, taking 5p off the price of a litre of unleaded. However, had prices dropped, the tax rate would have risen. However, HM Treasury dismissed the idea as 'a dishonest stunt' that would leave a 3 billion hole in public finances.